Looking for a more defined office space to stay organized on site? A job site trailer may be perfect but out of budget, and the logistics of trailering it from job to job may slow you down if you’re on a deadline. 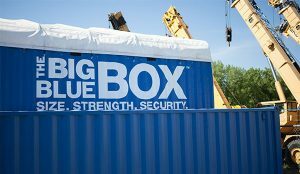 Our team offers a durable and secure alternative — portable, custom Big Blue Boxes. 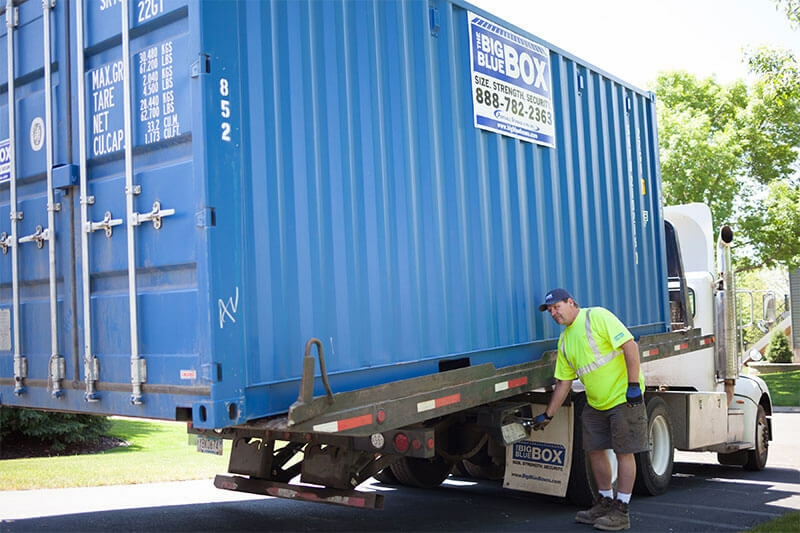 A portable office container from Big Blue Boxes means you can stay on budget and never worry about transportation. We’ll pick it up on time and deliver it to your next location promptly so you can get back to work. Instead of just making do with a used trailer, customize your box how you would like and our team will work with you to determine exactly what you’ll need. Customize your office to meet on-site demands and give yourself the personal workspace you need! We’ll provide the basic structure for your mobile office at your Minnesota site in the form of a weatherproof conex box complete and ready for you to take over. A used trailer may have a layout that doesn’t fit your storage needs or work style. With Big Blue Boxes, you can partition off the exact section you need for storage then design your mobile office ideally to your preferences. It’s a win-win-win — you’ll get more space for your projects, your team, and your storage needs. Plus, this portable office will be readily available at any job site you need without you having to lift a finger. If you’re new to Big Blue Boxes, take advantage of our first-time customer offer! Get 25% off container delivery with a minimum 3 month rental of a 20’ container! Check out our one-time discount here! Interested in Our Steel Containers for Another Purpose? Big Blue Boxes can provide additional onsite storage in the form of weathertight conex containers as well as portable toilet rentals for your job site. As always, we’ll deliver and pick up promptly so your site is always functional for your team. Not every job needs all of your equipment — get a secure container to store your unneeded or seasonal equipment. These units can be transferred directly to your site then delivered promptly back to your desired location when your equipment is again no longer needed. Interested in additional storage for your company? Choose our rugged COR-TEN™ steel containers for the most secure storage built to prevent theft and keep out weather and critters. Keep your important documents and expensive equipment safe. Order from Big Blue Boxes and you’ll get speedy delivery from our “Minnesota Nice” drivers. Get organized, stay on budget and meet your job site deadlines. Get pricing information on our portable offices for sale in Minnesota today to get started!